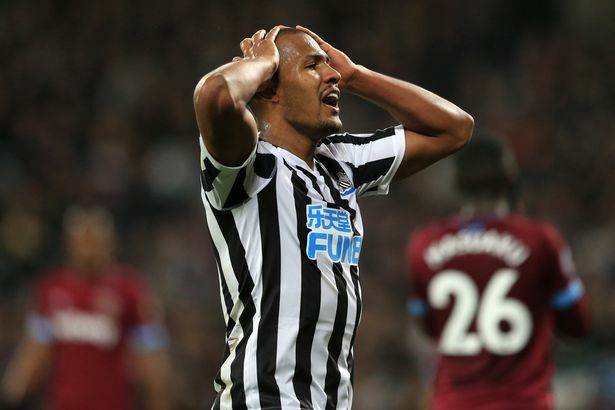 If these new Rondon reports are true, we better pray West Brom don’t get promoted.. – NUFC blog – Newcastle United blog – NUFC Fixtures, News and Forum. According to Lee Ryder, sources at the Hawthorns are claiming that Salomon Rondon’s price tag would be “north of £20m” this summer if the Baggies were promoted back to the Premier League. Rondon has been excellent for Newcastle this season, with his 9 strikes and 5 assist contributing to 45% of our goals – not to mention being an superb focal point and target man for us. “Rondon’s complex contract with Albion means that a £16.5m release clause must be met if his parent club fails to win promotion, but if the Baggies return to the Premier League they will have to shell out north of £20m for his services, according to sources at the Hawthorns. West Brom currently sit 4th in the Championship after the harsh sacking of boss Darren Moore, looking certain to enter the lottery of the play offs. We of course know first hand how difficult it is to bounce straight back up and with this development on Rondon, Newcastle fans will be hoping the Baggies stay in the second tier for another year at least. Ashley is reportedly already balking at the £16.5m fee – this was the reason we only secured a Venezuelan on a loan deal rather than a permanent transfer in the first place. Most football savvy onlookers would realise that fee is a steal for a proven Premier League striker – and a player who has become central to our style of play. I don’t think anyone knows anything about what is going to happen. All that is certain is that Rondon will be entering into his final year. Surely that means West Brom should be keen to cash in and avoid losing him for free.